Three simple inferences are shown below. The first one appears to be deductively invalid, whereas the other two appear to be deductively valid. Or so it would seem at first sight. Unfortunately, these rather natural judgements appear to be inconsistent, as explained at the end. Putnam was born in June. Therefore: if Putnam was not born in June, Quine was born in December. This inference seems to be invalid. Just because Putnam was born in June (supposing that’s true), it does not follow that if he was not, then Quine was born in December. The premise seems far too weak to establish the conclusion. —There is no connection between Putnam’s birthday and Quine’s, so far as we are told. Either Putnam was born in June or Quine was born in December (or both). Therefore: if Putnam was not born in June, Quine was born in December. This inference looks much better. The conclusion remains unchanged from above, but the premise has now been strengthened. It now asserts a relevant connection between Putnam’s birthday and Quine’s, and the inference now appears to be valid. Putnam was born in June. Therefore: either Putnam was born in June or Quine was born in December (or both). This inference seems to be valid as well. Indeed, it appears to be quite trivial. If it’s really true that Putnam was born in June, then it must be true that either he was born in June or Quine was born in December (or both). —The conclusion would have to be true, regardless of when Quine was born. A. Putnam was born in June. B. Either Putnam was born in June or Quine was born in December (or both). 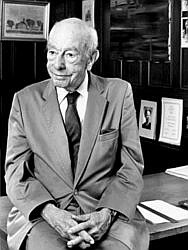 C. If Putnam was not born in June, Quine was born in December. We essentially agreed that C may be inferred from B, and that B may be inferred from A. So we should presumably agree that C may (after all) be inferred from A. Unfortunately, this is precisely what we denied at the start. This puzzle is well-known to philosophers who study conditional (“If ... then ...”) statements and is much deeper than it looks. There is no easy way to resolve it. Robert Stalnaker drew some attention to it by suggesting that the second inference above is in fact invalid. This “solution” is controversial, but then so is any other!